I’ve never known anyone to set a goal of wanting to be unsuccessful. We all want to succeed in life, but what does Success really mean? 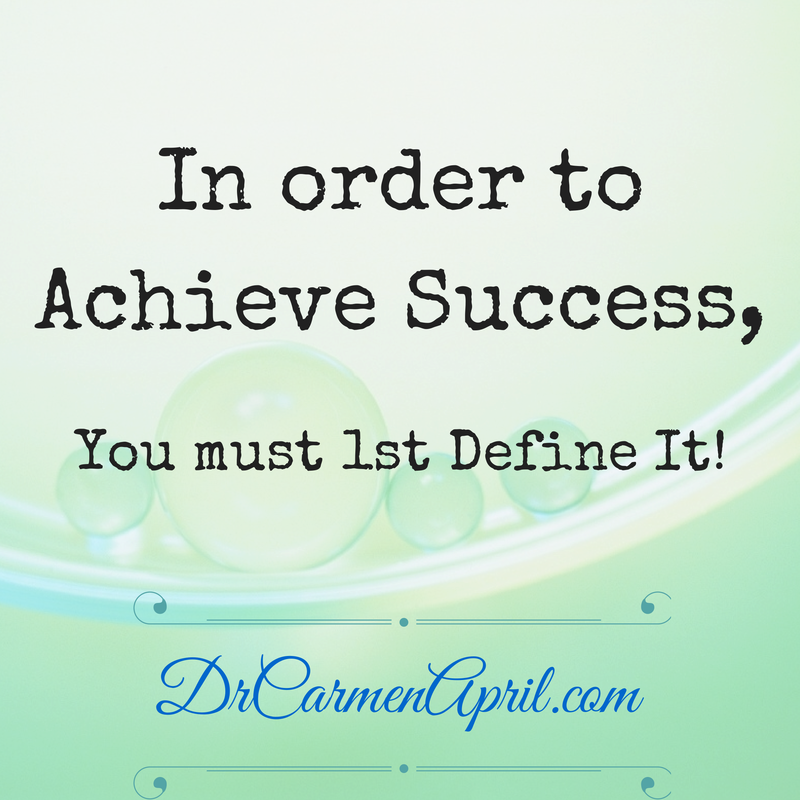 Success is different for everyone and the first step to achieving the success you desire is to define what it looks like for you! Success for some may involve great wealth, owning a business, leading a community organization, holding a political office, having a C-Suite position in Corporate America, or having a fabulous company expense account. For others, it may involve raising a successful family, or having a schedule that allows them to travel the world and explore other cultures. It’s important to realize that there is no one definition of success. I recently asked a group of Junior High Students what Success looks like for them and they all gravitated toward the definition of success that involves having lots of money, a big house and a fancy car. I’m sure when many of you were in Junior High School, your definition of success probably sounded a little something like this too! We are fed images in the media that strongly suggest to us that success involves just what those students imagined success to be. However, at what point do we consider that there are other definitions of success than this. How do you go about defining it for yourself? ❐ What are your career goals? ❐ What are your family goals? ❐ What is your Purpose in life? ❐ What excites you most in life? ❐ Who are the people you value most in your life? Why? ❐ How are your choosing to live your life on Purpose right now? How do you plan to do this in the future? Take some time to think about these questions and write down the answers. I’m a huge proponent of writing down your goals and visions. There’s power in writing these things down!